DEET has been recognised as a highly effective mosquito repellents for many years, and is an ideal choice for travel to areas where mosquitoes and other biting insects are present, especially those regions where mosquitoes are known to carry disease. 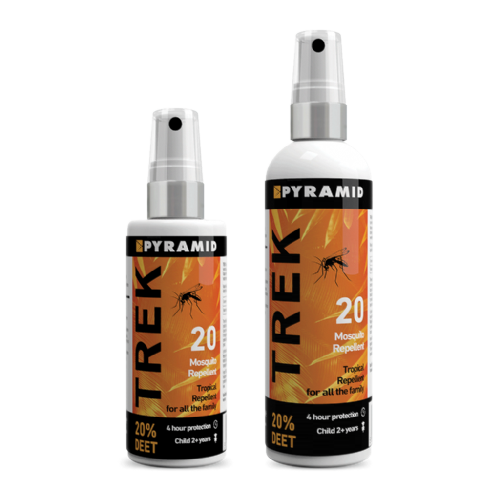 Pyramid’s range of DEET based repellents are highly effective against mosquitoes and other types of biting insects and can help protect you from insect borne diseases such as Malaria, West Nile Virus and Dengue Fever. Three different DEET strengths are offered, offering varying levels of protection for different ages, activities and regions. 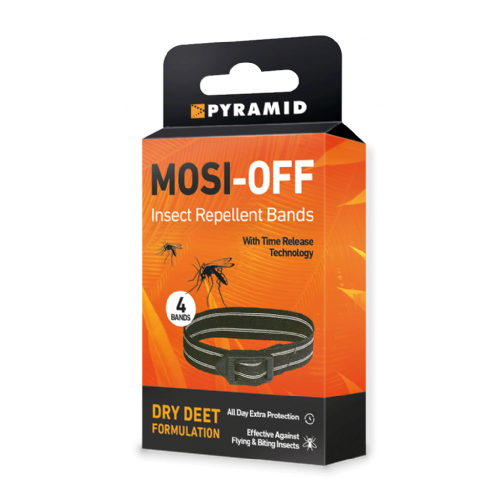 Our Mosi-Off mosquito repelling bands contain dry DEET and are ideal for extra protection alongside a spray repellent.